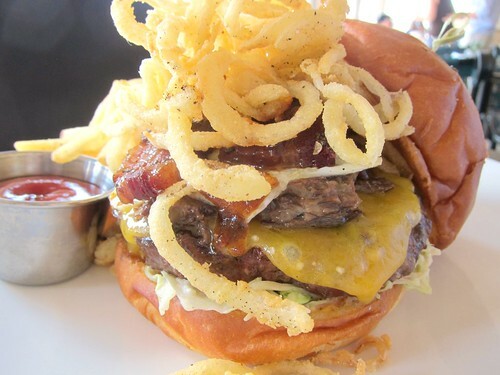 While Baleen Kitchen, hidden inside the Portofino Hotel, is relatively unknown to those not living in the South Bay, it tends to be to go-to special occasion restaurant for Redondo Beach locals. I personally had only been for lunch more than 2 years ago but remembered liking it. For Valentine's Day, they've put together a 5-course menu for $85 ($115 with wine pairing). I got to taste three of the menu items as a preview. 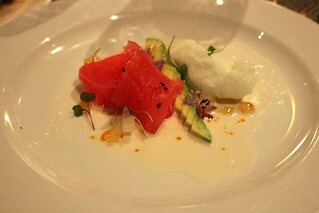 The lime sorbet added a really nice texture and temperature contrast to the dish. 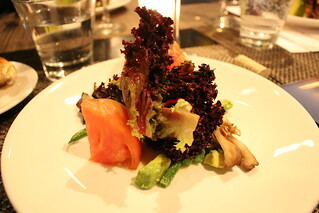 I like how the focus on the dish is still the salad, with maitake accompanying each bite. 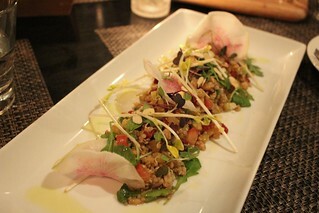 The crisp vegetables combined with the earthy mushrooms get your appetite going. The other appetizer option is the Peekytoe crab cake. Not so long ago, Redondo Beach in my mind consisted of a crowded beach and the pier (which has Izakaya Bincho and Quality Seafood, both great). Enter Baleen Los Angeles at the Portofino Hotel and Yacht Club, a much quieter, less touristy spot away from the pier. The restaurant's layout seems a strange one when you walk in. 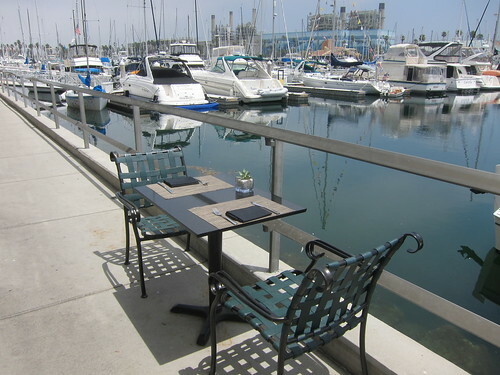 Instead of a big dining room, there's only one row of tables, all of them provide a view of the marina and yachts. 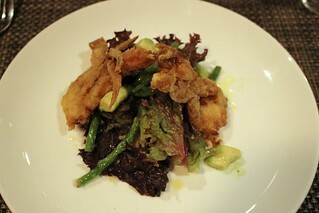 Baleen recently launched a new lunch menu. I wasn't able to come to their media lunch so they invited me over on another day - a beautiful Saturday afternoon, perfect for dining al fresco by the water. Judging from the customers coming in while I was there, seems like this is the spot for local residents to have their casual lunch and family reunions.